It is very light weight, soft thin plastic, it deforms under hands pressure. #Great for Doing lot of succulent propagation. If you have any questions or problems,Please feel free to contact us,We will reply in 24 hours. Note: The Color may a slightly different from pictures because of the lighting and monitors. Containers dimensions :4.33" Inch outside diameter at top, 2.95" Inch Bottom,3.5'' Inch Height. 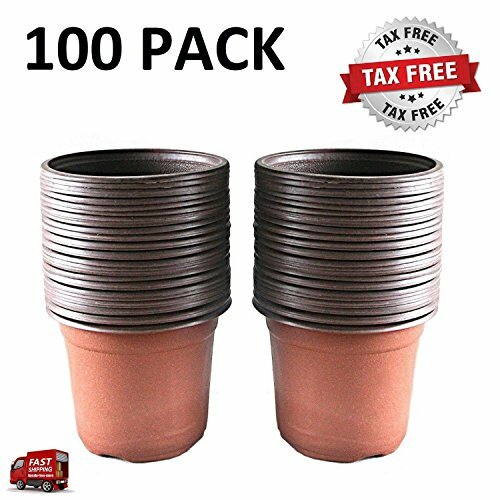 Great for a number of uses, starting seedlings, or transplanting seedlings from smaller cells into these plant containers. 100% Customer Satisfaction Guarantee:Keep you satisfied and provide you friendly customer service. If you have any questions about this product by Awefrank, contact us by completing and submitting the form below. If you are looking for a specif part number, please include it with your message.